The Microsoft Lumia 435 has a 4 inch WVGA LCD Transmissive display with a resolution of 800 x 480 and a pixel density of 233ppi. Microsofts Lumia 435 has a 2 megapixel, fixed-focus main camera which can record 480p video at 30fps. It also has a 0.3 megapixel VGA front facing camera and with Skype already pre-installed, an everyday phone call can now become a video call. Every picture taken on the Lumia 435 is automatically backed up in the cloud keeping precious images safe. 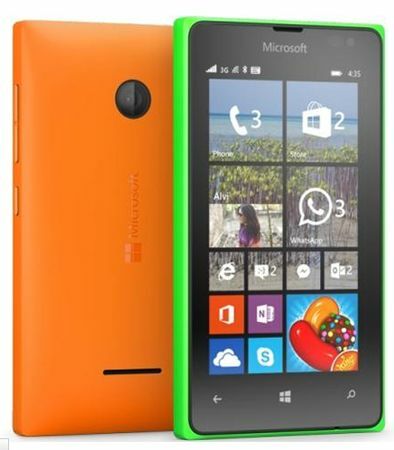 The Lumia 435 meaures 118.1 x 64.7 x 1.7 mm and weighs 134.1 grams. The precision crafted device has an interchangeable back cover and features double tap wake-up, vibrating alerts and voice commands. It also has tactile feedback and a word flow keyboard. The device feels solid and comfortable in the hand and the back cover can easily be customised to your own individual taste. This latest device from Microsoft has a dual-core 1.2 GHz processor and runs Denim-enhanced Windows Phone 8.1 operating system. It has 1GB of RAM and 8GB of storage expandable up to 128GB via microSD. It will give up to 11.7 hours talk time (3G) and a maximum standby time of 21 days. The device has up to 30GB of OneDrive storage and with Cortana, your very own personal assistant keeping you organised, you will never miss an appointment or anniversary. 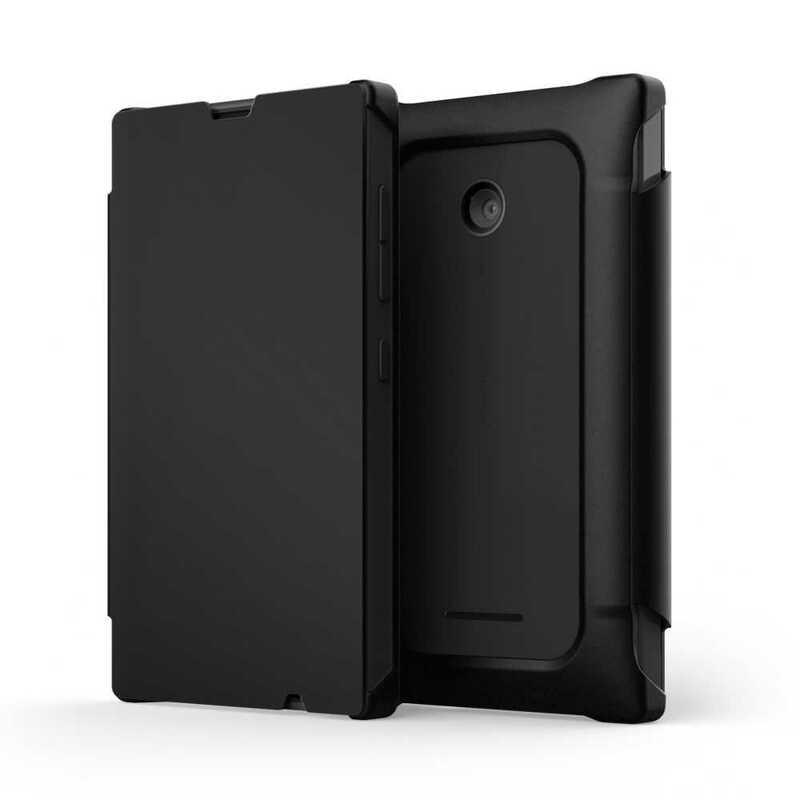 Mozo Book Case for Microsoft Lumia 435 In Stock Now!